To make my my quick, easy and colorful succulent container garden, you’ll need a 12-inch container, “cactus mix” potting soil, a piece of window screen to cover the hole (optional), one large echeveria (like ‘Afterglow’) to go in the center, several nursery pots of Graptosedum ‘California Sunset’ (or similar), and a fine-leaved sedum for tucking into gaps (I used ‘Cape Blanco’). Learn more and find additional options for lovely potted succulent combos in my bestselling book, Succulent Container Gardens. 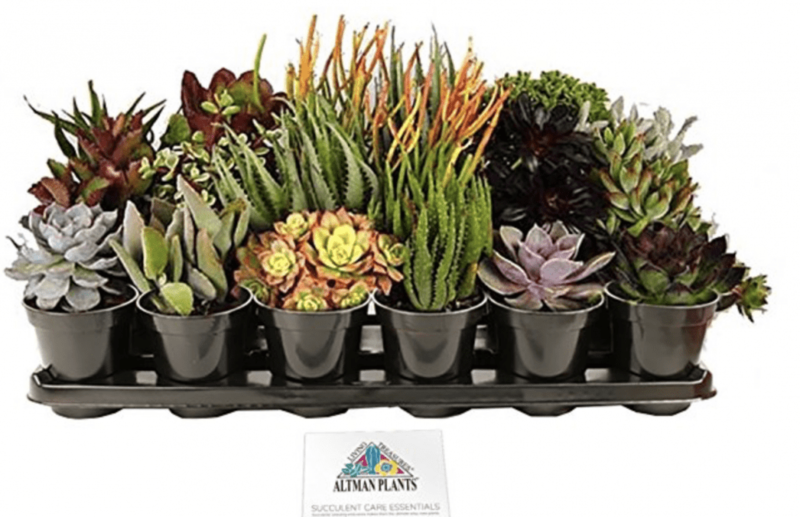 Also visit my YouTube channel for dozens of how-to videos of creative, eye-catching design ideas featuring succulents.